What were the limitations of interracial intimacies and how might people have addressed those limitations in various settings – domestic spheres, legal systems, religious spaces, classrooms? If people across races and cultures lived, ate, slept, and traveled together, what were the implications for cultural understanding—or lack thereof? 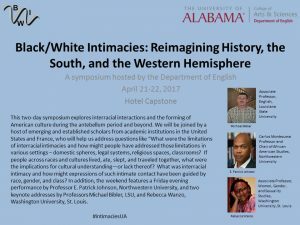 What was interracial intimacy and how might expressions of such intimate contact have been guided by race, gender, and class? Keynote addresses will be delivered by Professors Michael Bibler, LSU, and Rebecca Wanzo, Washington University, St. Louis. 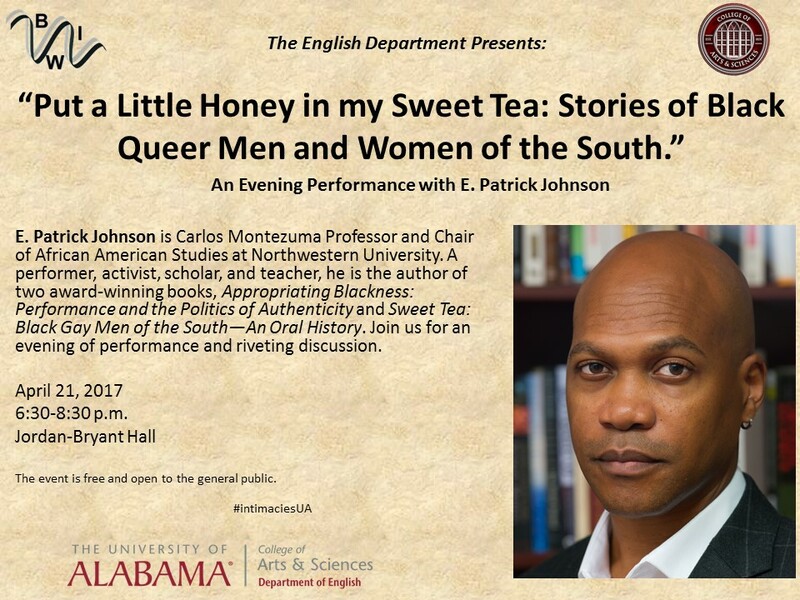 A highlight of the weekend will be a Friday evening performance by Professor E. Patrick Johnson, who is Carlos Montezuma Professor and Chair of African American Studies at Northwestern University. 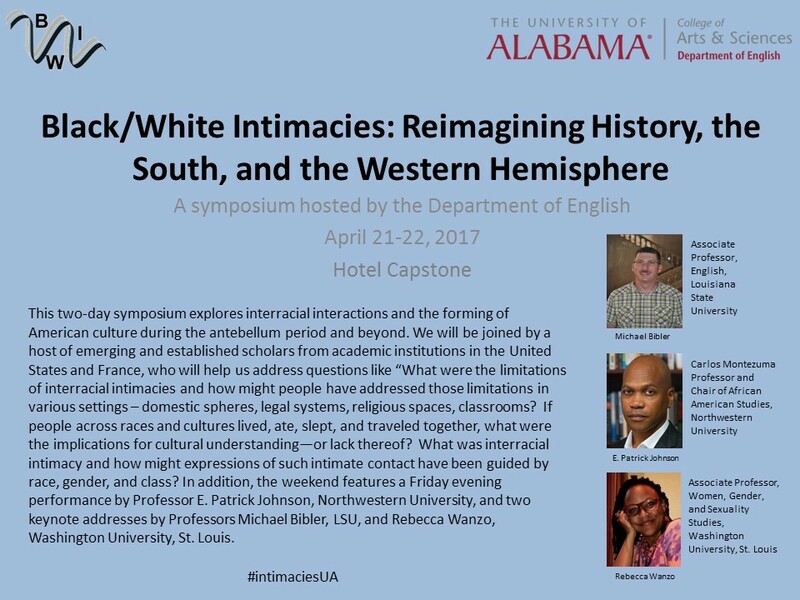 The symposium will begin at 9 a.m. on April 21, 2017, at the Hotel Capstone.